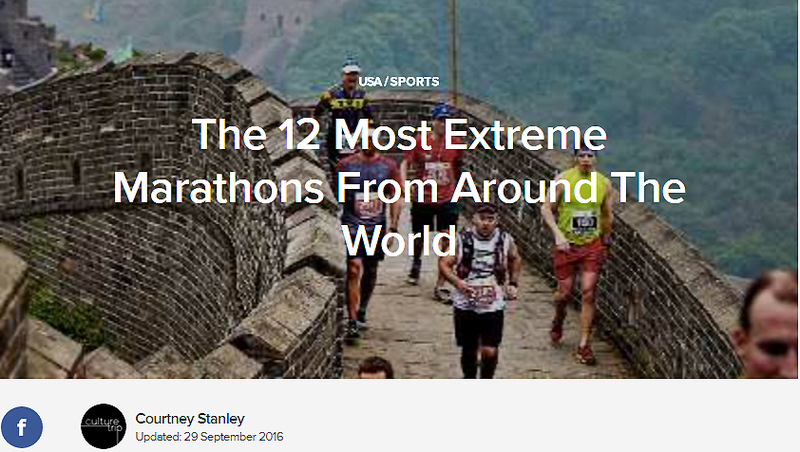 Any marathon can test your endurance, but these extreme marathons and test your sanity. If you’re tired of taking your laps around the same old track, try one of these races that explore remote and well-traveled areas of the world in a new way. 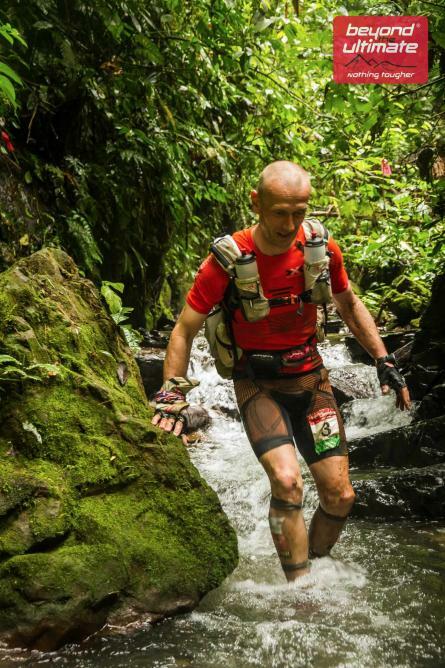 The Jungle Ultra is a 230 kilometer ultramarathon that guides participants through the remote Amazonian rainforest. The race begins at 10,000 feet above sea level in Cloud Forest, and from there runners will trek through the dense Peruvian jungle. Throughout the five-stage event, participants make their way through tribal villages, virtually untouched forests, and a mountainous terrain. One major difficulty will be dealing with the humidity levels that reach nearly 100% in the jungle. On top of that, participants need to be fully aware of their surroundings in a jungle that is home to such wildlife as jaguars, monkeys, and tapirs. The self-sufficient nature of the race means participants must carry a hammock, sleeping bag, food, and supplies for the whole event, but water can be replenished at check points along the way. Although competitors are responsible for their own meals, it is necessary for each person to take in a minimum of 1,500 calories. Once you master the Jungle Ultra, go for a Grand Slam and complete the other three Ultra races. The first Marathon des Sables took place in 1986, but the event really kicked off in 1984, when 28-year-old Patrick Bauer decided to cross a 350 kilometer tract of the Moroccan Sahara Desert. Bauer was alone on his journey, crossing no villages or watering places, with only a 35 kilogram rucksack containing all of the food and water for his journey, which took 12 days. 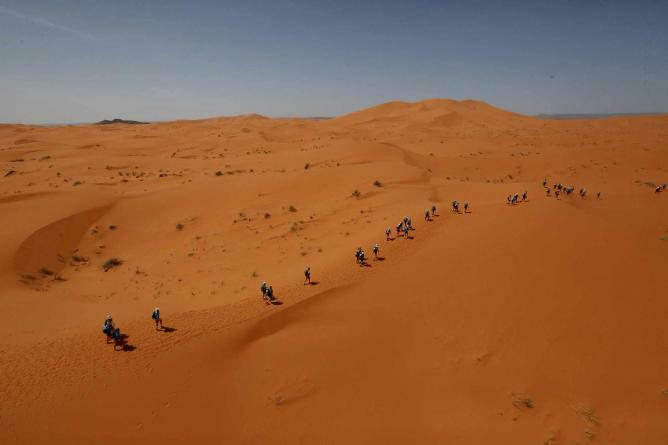 In 2014, over 1,000 competitors took part in this incredible test of mental and physical endurance over the largest hot desert in the world. The marathon directors suggest taking in around 3,000 to 4,000 calories per day and eating a high energy snack every 20 to 30 minutes during the race. Water is distributed to the competitors for each stage, which they must manage themselves. Next race is open to 1,300 competitors. So far, the youngest competitor in the marathon was 16 years old and the oldest was 79. This distance race was founded in 1984 to recreate the steps of Pheidippides, an ancient Athenian runner, who, before the battle of Marathon, was sent to help Sparta in the war between the Greeks and the Perisans in 490 BC. Pheidippides arrived in Sparta—250 kilometers from Athens—the next day, according to ancient Greek historians. When researchers discovered they too could run 250 kilometers in two days, the Spartahlon race began. 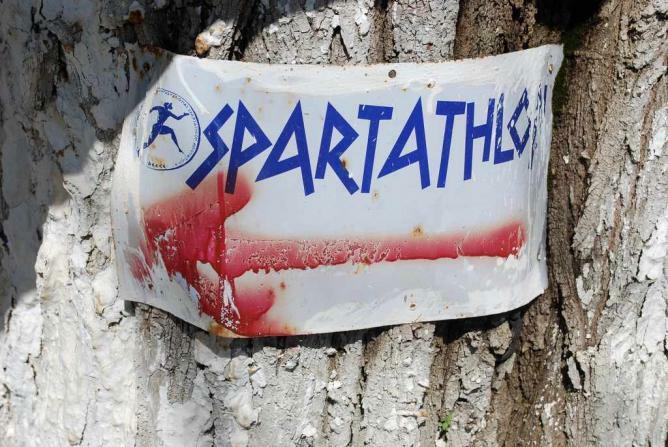 Only about a third of runners who come to run the Sparathlon finish the marathon in Sparta. There are aid stations every three to five kilometers and time limits at 75 race stations. If participants don’t meet each time limit they will be eliminated. The goal of the Spartathlon is to show your strength as a modern day Pheidippides and meet the 36-hour time limit. The track covers vineyards, olive groves, hillsides, paved roads, and a nearly 4,000 foot tall mountain, Mount Parthenio. On the way to Sparta, runners will pass through many ancient cities: Eleusis, Megara, Ancient Corinth, Ancient Nemea, and Tegea. For one day every year the Great Wall of China fills with a special kind of tourist. The Great Wall Marathon takes place on one of the world’s greatest manmade monuments. It began in 1999, and in 2015, 2,500 runners took part in the event. 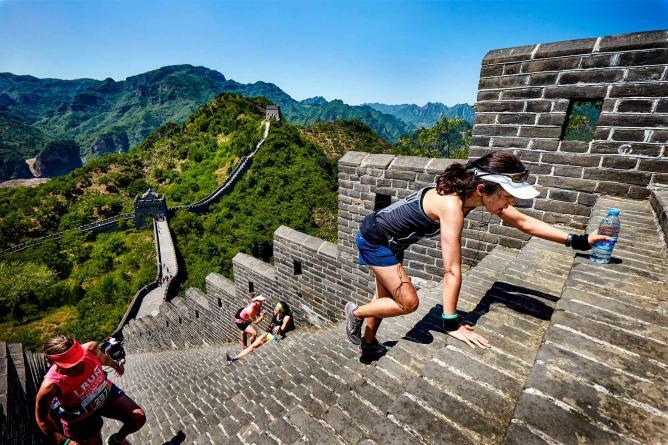 The marathon route starts at the Yin and Yang Square in the old Huangyaguan fortress, and then takes competitors up the first of many staircases on the Great Wall of China. Then, marathon runners will proceed through the lower valley and surrounding villages before finishing a second loop around the Great Wall. The marathon consists of 5,164 steps. If you’re not quite prepared for a full-length marathon, a half marathon and 8.5 kilometer fun run are also options. The weather will likely be hot and humid, reaching 86 degrees Fahrenheit (30 degrees Celsius). The cut-off time is eight hours, and participants that do not make the eight-hour time limit will be disqualified. Surrounded by ice and clear, fresh air, the Polar Circle Marathon is located in one of the most extreme terrains in the world: Greenland’s icy, arctic tundra. The eerily quiet landscape is the backdrop to this remote race, and only the musk oxen and arctic foxes will be your companions. Part of the race’s route takes runners over an ice sheet, but the main portion is on a gravel, snow-covered road that connects the ice sheet with the small township of Kangerlussuaq, located north of the Polar Circle. The race directors warn participants not to fear overdressing—it’s much easier to strip off layers than to recuperate from being too cold. Hats, gloves, and scarves are essential to beat the frigid air and strong winds. Average temperatures range from minus 50 to 60 degrees Fahrenheit (-15 or -10 degrees Celsius) in the morning to 25 to 15 degrees Fahrenheit (-five to -10 degrees Celsius) once the sun has risen, but temperatures may fall even further below zero. The Badwater Ultra Cup is comprised of three separate events over the course of one calendar year: The 51-mile Badwater Cape Fear in March, the 81-mile Badwater Salton Sea in May, and the 135-mile Badwater 135 in July. Cape Fear takes place in Bald Head Island, North Carolina. The race along the Atlantic Seaboard begins on paved roads, then leads through a forest reserve, and finally takes participants along the sandy beaches. The Salton Sea race is a team race where duos or trios tackle the Southern California deserts and mountains. The non-stop route ranges from 125 feet below sea level to the Palomar Mountain at 5,500 feet above sea level. The Badwater 135 is an intense, non-stop race from Death Valley to Mt. Whitney, California. 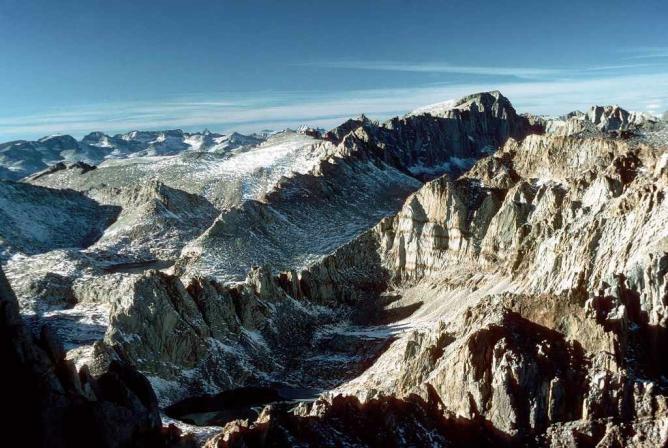 This 135-mile track is the most demanding of the three with a starting elevation of 280 feet below sea level to a height of 8,300 feet above sea level. This ultra cup is for the experts only. This non-stop, self-reliant race covers a distance of 350 miles in the northwest Canadian Yukon, crossing into the Arctic Circle. Entrants must carry or pull their provisions by sled throughout the race, and they are responsible for their own food, cooking items, clothing, sleeping kit, and other gear. The race begins at the remote Eagle Plains Hotel and continues north to end in Tuktoyaktuk on the edge of the Arctic Ocean. Extreme wind and ice will test competitors’ mental and physical strength. The landscape changes from frozen lakesides to trees to nothing more than an abyss of icy whiteness. Finding the correct clothing and gear to wear will be necessary for this race. This weeklong race across 170 miles takes competitors from the northern rim of the Grand Canyon to the summit of the Grand Staircase. 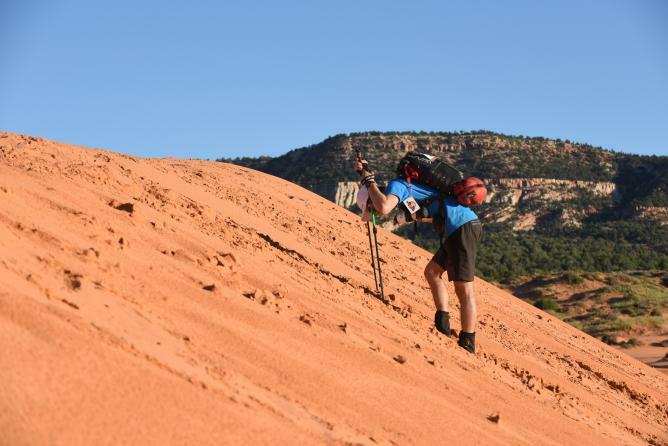 Racers should be prepared for all types of terrains, from sand dunes to red rock canyons to forest trails. The self-supported series of races means participants will be racing through the most remote areas of America without a guide while in complete control of their belongings. The race is made up of six stages, and after a series of mountains and valleys participants reach an altitude of 8,658 feet by the finish line. The total ascent over the entire race is 18,041 feet. Runners will witness fantastic geological features and natural wildlife like big horn sheep and the rare Californiacondor. Run among elephants, rhinos, buffalos, lions, and leopards on one of the top marathons in the world. 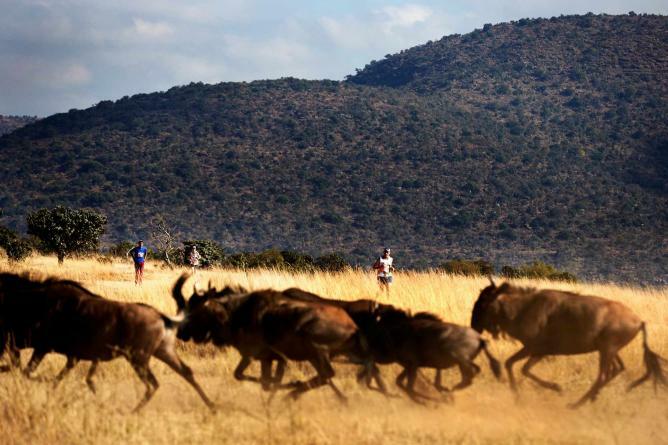 This race takes competitors through the ‘Big Five’ game reserves in the African savannah. Although you’ll be surrounded by incredible natural beauty, the Big Five Marathon is a challenging race. The first section of the run takes place on dirt roads of red sand before participants head up the steep Yellow Wood Hill. The terrain is one of the most challenging factors of this race—oftentimes you will be running on deep sand and loose stone. The weather is dry, sunny, and relatively mild in June with temperatures around 60 to 70 degrees Fahrenheit (15 to 20 degrees Celsius) while the sun is up, but at night the temperature can fall below freezing. The race up Pikes Peak in Colorado is truly an uphill battle. 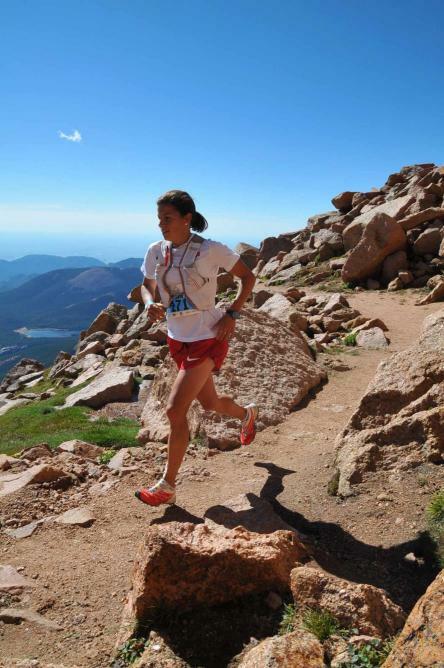 The physically demanding, high altitude challenge begins six miles west of Colorado Springs in Manitou Springs and consists of a trek up the mountain to the summit and back to down the finish line. If the idea of racing up and down the mountain sounds too challenging, try the half marathon, Pikes Peak Ascent, which covers the same route up but doesn’t return back down. From start to summit, you’ll gain an elevation of 7,815 feet as you make your way up Pikes Peak, and the average grade is 11 percent. The weather around Pikes Peak is unpredictable, so participants are warned to be ready for a range of temperatures. The Baikal Ice Marathon claims to be Russia’s most exotic footrace and the world’s fastest marathon on ice. This marathon is a part of a larger event of winter games, the Winteriada Festival, which includes ice fishing, ice skating and even ice golf. 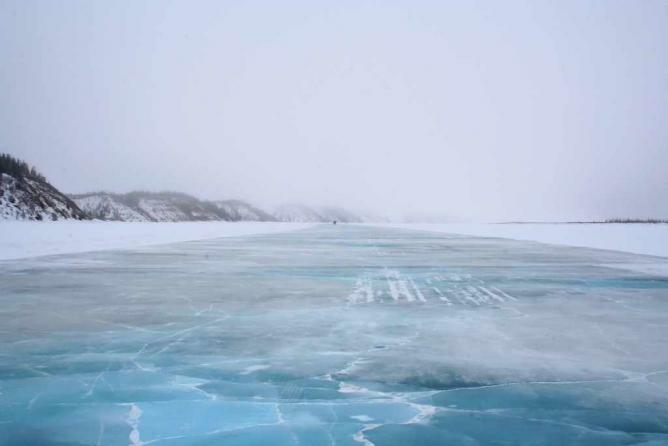 The race takes place on the frozen Lake Baikal and the terrain varies between a soft layer of snow over ice to ‘ice rink’ conditions. As if that wasn’t difficult enough, the barren landscape provides no relief from the strong winds and the bitter cold and no focal points or sense of perspective. The full race is over 42 kilometers, and in 2015, 167 runners took part. If you’ve ever wanted to try running a marathon in total darkness, this one is a great start. 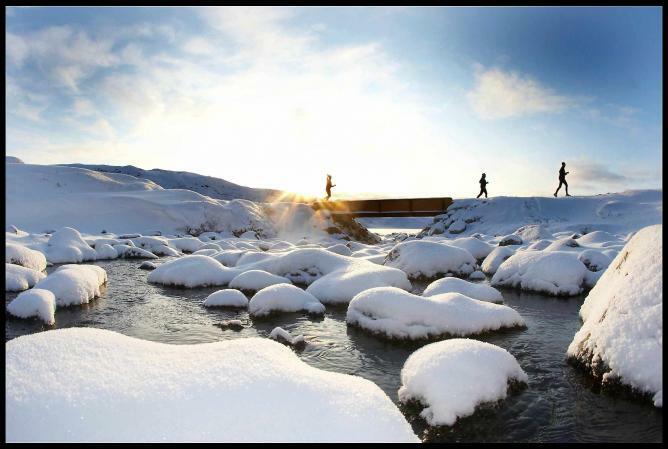 Although it is just a half marathon, the race takes place in Tromsø, Norway, during the city’s polar night period where there are extremely limited hours of daylight. Although the race begins in the afternoon, participants run in darkness across snow and ice. The average temperature in January 2015 was around 25 degrees Fahrenheit (-five degrees Celsius), so warm layers and spiked shoes are recommended. The trail leads around the coast of Tromsø, and in 2015’s race more than 1,200 participants joined.